MOSCOW, August 28. /TASS/. 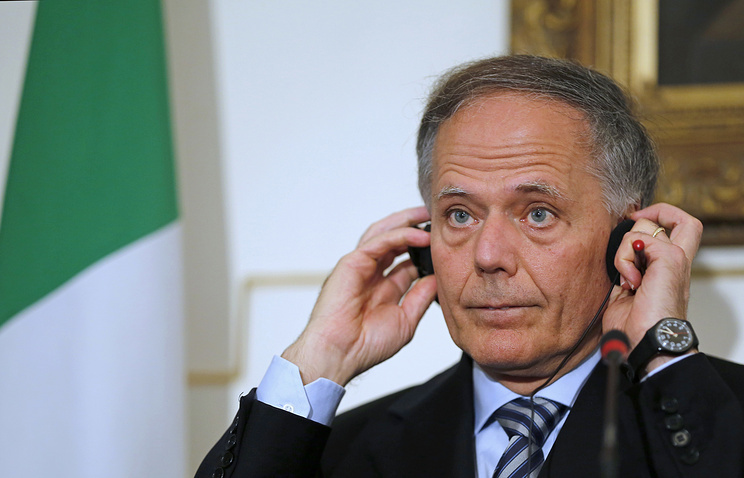 Italian Minister of Foreign Affairs Enzo Moavero Milanesi is to visit Russia in the first half of October, Italian Ambassador to Russia Pasquale Terracciano told TASS. “We expect the visit to take place in October, ahead of the prime minister’s visit to Moscow,” he said. Terracciano confirmed that Italian Prime Minister Giuseppe Conte’s visit to Russia is planned for October 24. He told TASS earlier in July that Conte accepted Russian President Vladimir Putin’s invitation to visit the country on this particular day. The television channel Rainews24 reported in July, citing Italian Deputy Foreign Minister of Foreign Affairs Guglielmo Picchi, that Moavero Milanesi’s visit was planned for September. Hey Buddy!, I found this information for you: "Italian foreign minister to visit Russia in October — envoy". Here is the website link: https://russophile.org/italian-foreign-minister-to-visit-russia-in-october-envoy/. Thank you.